Life is stressful. This stress can cause hair loss as you get older. No one likes losing their long locks. That is why people have turned to hair growth products. Every product is different, but one product that we will be focusing on today is Biotin. It is a common vitamin that people turn to for help. That is why tons of questions arise when talking about it. How fast does hair grow with Biotin? Does biotin really work? How often should I take Biotin? We will be discussing Biotin in depth today so that you leave with a better understanding of it. Biotin is a vitamin that is found in many different types of foods. It has many different health benefits that we will discuss below. Many studies have been done on Biotin that proves its ability to increase nail strength and prevent hair loss. You can find Biotin in natural food. Things like whole-grain cereals and eggs are a few basic examples. When taking biotin supplements, you can rest easy as there are no side effects. You should be wary though if you have a health condition. The vitamin Biotin is natural, but it can react negatively to certain medical conditions. Other drug combinations with Biotin should also be taken into consideration. It is not currently known how well Biotin will react when other drugs are brought into play, so be careful in that aspect. It is also important to note that most of the time, you have enough Biotin from daily eating to not have to worry about getting a daily intake. However, it has been discovered that during pregnancy, the possibility of having low Biotin levels is higher. Are There Any Benefits of Using Biotin? Biotin is one vitamin that has multiple benefits. With so many benefits, it would be hard to not go out and get some extra Biotin for yourself. It does a great job of providing extra energy. This is because of the enzymes that work with carbs, fats, and protein metabolism need Biotin. Processes that go on in the deepest levels of our digestive system rely on Biotin. This is especially true when it comes to working with Amino Acids. As mentioned above, Biotin can help with weak nails. If you are experiencing nails that crack or chip often, you might want to consider getting you some Biotin. It does not take much either to ensure stronger and healthier nails. One of the most commonly known benefits of Biotin is its ability to strengthen and grow your hair. 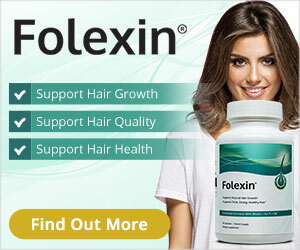 If you are not getting enough Biotin, it can lead to hair loss. As mentioned above, pregnancy and Biotin are closely related. The vitamin is needed during pregnancy. The reason this is so important is that some studies have shown a lack of Biotin in the body can lead to birth defects. Your doctor will likely keep you informed on whether you are Biotin deficient or not, but it is important to know the risks of not having enough Biotin during pregnancy. Research has also been done with Biotin and Diabetes. The results are not set in stone, but some have shown that those with diabetes have less Biotin in their bloodstreams. It can combine with chromium and lower blood sugar levels in anyone with type 2 diabetes as well. A lack of Biotin also affects your skin. It can cause itchy, red, or inflamed skin. This may also lead to a skin disease known as seborrheic dermatitis. Biotin has an important role in fat metabolism and this is crucial for the skin. Not having enough Biotin can easily affect this part of your body. You may have heard of multiple sclerosis. Well, it is an autoimmune disease that affects the protective covering of nerve fibers in your eyes, brain, and spinal cord. The sheath that protects these areas is partially made with the help of Biotin. An increase of Biotin has been researched and found to help those with multiple sclerosis. A few foods that contain Biotin are yeast, egg yolks, cheese, cauliflower, and nuts. It is a water-soluble vitamin, so most of the time, excess Biotin is extracted from urine. The average recommended intake for adults is 30 micrograms. How Fast Will Your Hair Grow with Biotin? The rate at which Biotin will help your hair grow will depend on you and how your body is taking the Biotin. However, as a general rule of thumb, most people can expect to see results after a few months. This may seem like a long time, but you must understand that your body has to take the time to register all this new Biotin intake. If you are not taking any supplements and are willing to try to eat more Biotin-rich foods, you will need to do this constantly. Otherwise, using a supplement is fine. You should always get it checked by your doctor first though. Some studies have shown that Biotin has improved both growth and shine of hair within 3 months. That is good news for those of you who are not patient, just do not expect any guarantees. So, in conclusion, Biotin is an important vitamin that everyone naturally can receive. It is found in a lot of foods that we generally eat, so lacking in the vitamin is very rare. This, of course, is only true if you are not pregnant. It is common that pregnancy causes a Biotin deficiency. Your doctor will likely catch this if it is the cause and has you prescribed some Biotin pills. To prevent further hair loss, taking additional Biotin is a good idea. The rate at which it works to grow your hair depends on a lot of factors from you personally to the Biotin you actually bought. It also takes a lot longer if you choose to get Biotin through Biotin-rich foods. Either way, you can expect to wait at least 3 months before you notice any changes in your hair or nails.